Elsie K. Mays, 88, of Frankfort, died on Friday, September 7, 2018 at her home. She was born on January 19, 1930 in Ashland, KY, the daughter of the late James and Mollie Smith Andronis. On December 7, 1947 she married her husband of 71 years, Loren D. Mays, and he survives. 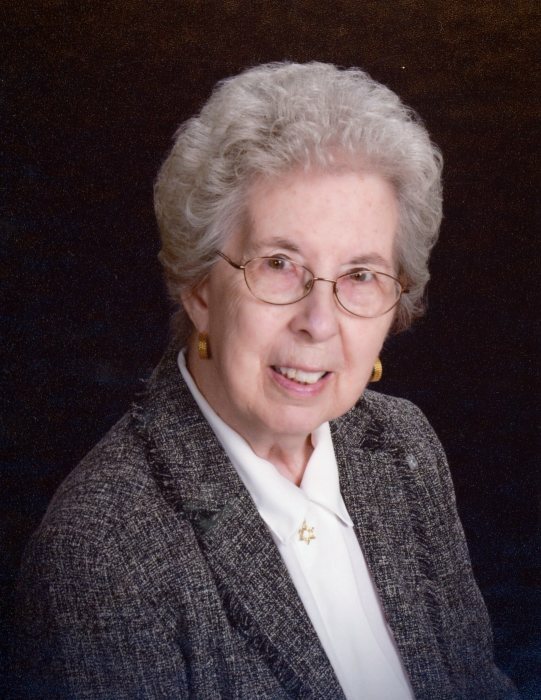 Elsie was a 1947 graduate of Valley High School and in 1978, she received an Associate Degree from Ohio University. Elsie retired from the Mead Paper Company where she worked as a Senior Buyer. She was a charter member of the Calvary Baptist Church in Chillicothe. A funeral service will be held at 1 pm on Tuesday, September 11, 2018, in the EBRIGHT FUNERAL HOME, Frankfort, with Pastor Tim Kenoyer officiating. Friends and family can visit with the Mays family at the funeral home, on Tuesday, from 11 am until the time of service. Those wishing to sign Elsie’s online register book may do so at www.ebrightfuneralhome.com.